Just a girl with a hammer: Bad lines, bad code, bad blogger. 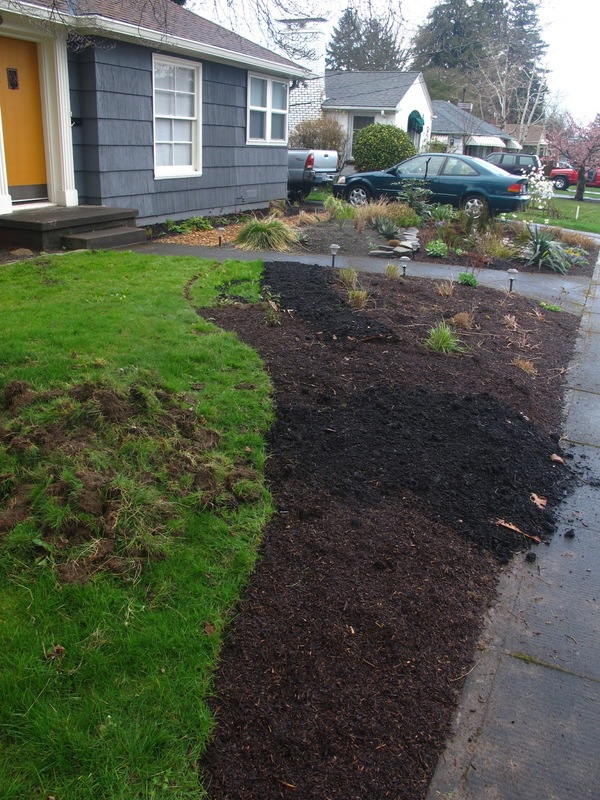 After work one day I decided to smooth out my lines by removing some of the surrounding sod, this time with my edger and pick axe. 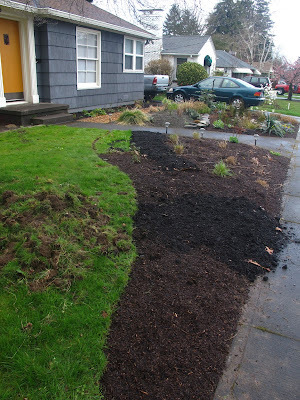 I decided to free hand it, instead of using a hose to guide me to a straight line or a smooth parabola. And it started POURING, so I looked like this. And my jeans were soaked through and it was getting colder, so I didn't even get everything done. Blind children could make better lines. So it still looks stupid. But! I got my little Cistus 'Elma' in the ground and it's very well watered-in. 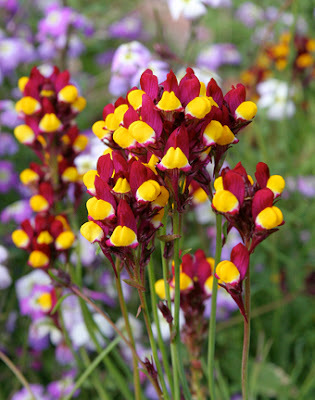 I ordered some Linaria reticulata 'Flamenco' after seeing it on Kaveh's blog. I love his blog so much. 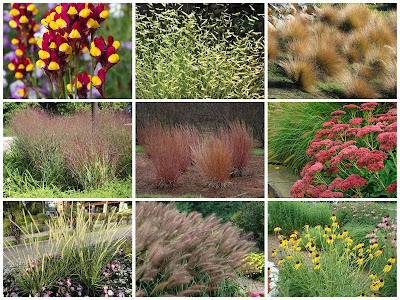 If I put the Linaria here, this is what it will look like with what's already planted there. I need to check back in with Scott (who designed this whole scheme) so I don't get too off-course. 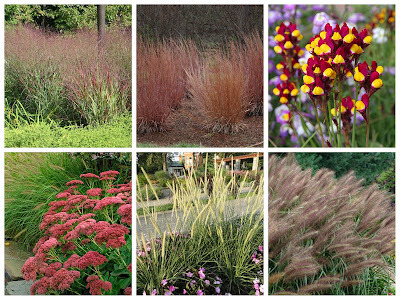 I'd love to incorporate (my new obsession) red tussock grass (Chionochloa rubra), blue grama grass (Bouteloua gracillis 'Blonde Ambition'), and a yellow echinacea cultivar or some sort, which would result in something like this. I'm not great with color combinations, so I need to tread carefully. Is the Chionochloa going to be out of place? I think it might be out of place. If you're feeling opinionated, would you weigh in in the comments? And if you're having trouble commenting, would you shoot me a message? (heather [at] justagirlwithahammer.com) Loree has brought to my attention that she's getting blocked with Chrome and Internet Explorer but I can't reproduce it on my computer. I think I monkeyed with the Disqus code and made everything worse. How surprising. Well, you will never lack opinions from this group. 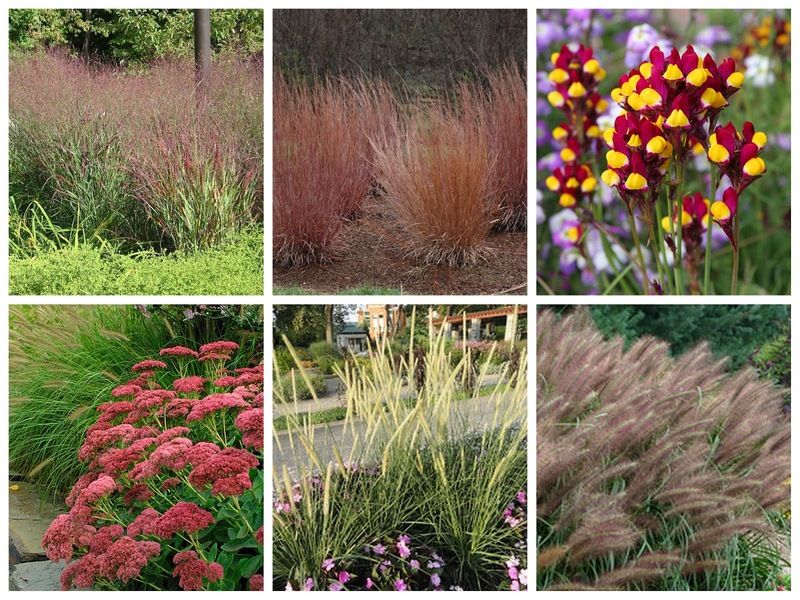 I think everything goes together nicely except for (excuse me) the Linaria. It may be that it stands out so because the photo is a different scale than the others. In real life it might cuddle up to the others just fine. Ah, good to know! I haven't gotten the plants yet, so maybe I'll tuck them in somewhere else. Thank you! 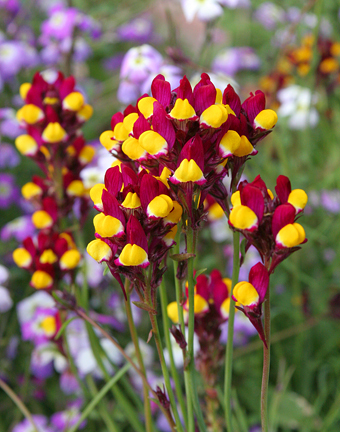 I'll bet the Linaria (which I love, btw) would look great with a whole big bunch of Nepeta or lavender. Ooh, nepeta would be really pretty! I can't do lavender here as it reseeds like crazy.